Sleep is a vital part of our natural functioning. We restore, rebuild and rebalance, processing and regrouping for the day ahead. In my practice I find a huge number of people who either have trouble going to sleep or wake throughout the night. They may wake in the wee small hours and cannot get back to sleep, or who just wake up exhausted each morning feeling like they have not slept at all. Often they are curious about hypnotherapy for insomnia and how it might help. Can Hypnotherapy for Insomnia Help? People come to see me when they are at the end of their tether. They are already doing “all the right things” – avoiding caffeine, reducing alcohol, minimising screen time before bed, practising a good wind down routine, chamomile tea, lavender oil and so on. And yet, they still seem to be stuck in a pattern of not sleeping well. Which can understandably add insult to injury! Not getting enough good quality sleep can have a massive impact on how we feel and function. There are many concerns about the short and long term impact of insomnia on our health; and those of you struggling with this probably wouldn’t thank me for laying all that out here as something else to worry about! So let’s focus on what happens when we sleep, how to understand more and where hypnotherapy for insomnia fits in. What Happens When We Sleep? In a nutshell we have a range of brainwave speeds, each associated with different modes and each with their role to play in our health and functioning. Some will be more prevalent when we are awake and busy, such as beta waves, whereas alpha waves are more likely when we slow down, relax and focus. We can achieve alpha and theta wave states when we meditate, practice yoga or hypnotherapy and these bring a range of benefits. You can read more about this in my blog on Brainwaves in Hypnotherapy. When we go to sleep we move through a sequence of brainwave patterns that take us from busy everyday mode (beta), to preparing for sleep and falling asleep (alpha and theta) and into light sleep – where we experience ‘sleep spindles’. As we move through a transition phase into deeper sleep, delta waves predominate and we sleep our deepest dreamless sleep. Following this we then cycle back into a transition phase, move back into lighter sleep and then experience the REM (Rapid Eye Movement) part of our dream cycle before cycling around again back through light sleep, transitional phase, deep sleep and so on. A complete sleep cycle taking place in 90 minute loops. 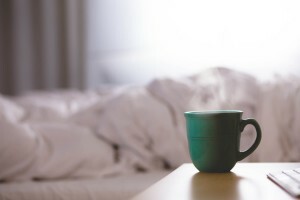 Just as an inte resting thought for you to consider – if you wake feeling comatose when the alarm goes, check you are not waking up in the deep sleep stage of your cycle and see if you can set your alarm for a multiple of 90 minutes so you wake up in a lighter phase of sleep…more gently. Each phase of the sleep cycle is needed and brings its own benefits. The REM stage allows us to dream, process and update information and experiences. Our dreamless deep sleep is restorative – we heal and repair, reset our clocks and produce serotonin and dopamine (both essential for good health). The relative proportion of parts of the sleep cycle change throughout the night. We have shorter bursts of REM sleep earlier in the night, between 11pm and 3am, and more REM sleep from 3am to 7am. With each sleep cycle we increase the amount of REM sleep up to the length of an hour as the night progresses. There are many schools of thought about why we dream and what our dreams mean. One interesting aspect is that people who are stressed, anxious or depressed can often wake up feeling tired and unrefreshed. When we are depressed or anxious, or maybe just overloaded, we may experience more REM sleep because this allows us to process and wrestle with what we have on our mental and emotional plates. The dreaming part of the sleep cycle can be a problem solving mode for us. This is a natural and normal part of our functioning but if we have more on our plate that we feel we can handle, the balance within the sleep cycle changes. The amount of deep sleep we experience is then reduced. There are two knock on effects of this – REM sleep requires energy, deep sleep restores energy – so we are more likely to be depleted if the balance is affected. If we enjoy less deep sleep we are also producing less serotonin and dopamine and so our mood, etc. will be affected. What ab out anti-depressants or sleeping pills? They are an option and I do meet people who have been helped by them. But I also meet people who don’t want to feel they are in a mental fog, as some do on anti-depressants, wind up unable to stop addictive sleeping pills or struggle with tricky “rebound” effects when you try to withdraw from some of these kinds of medications. Anti-depressants may also affect your sleep cycle too, depending upon the type prescribed – it is worth checking. 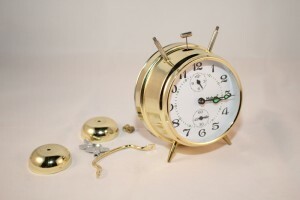 Why Can Hypnotherapy for Insomnia Help? Consider the sequence of brainwave activity as you move from everyday levels of busyness, worry or stress (beta), into a quieter inner journey by experiencing hypnotherapy or self-hypnosis (alpha and theta waves). Even if you only used hypnotherapy or self-hypnosis for relaxation you would still be supporting better health and sleep patterns. There are profound benefits from healthy relaxation and managing our stress levels. You can think of hypnotherapy and self-hypnosis as training your brain to more easily follow the pathway that takes you into sleep. Laying down smoother tracks for your mind to run down, creating more positive pathways and habits for the process of better sleep. With either hypnotherapy for insomnia or self-hypnosis you also have the option to factor in working with any particular issues that might be a part of your insomnia. These can range from stress and worry, anxiety, bereavement, to practical issues that have disrupted sleep patterns such as shift work or caring for children and family. Does Hypnotherapy for Insomnia Work? We know why self-hypnosis and hypnotherapy for insomnia should work but does it in practice? Everyone is different and will have their own challenges to overcome with insomnia. And so everyone’s route will be slightly different as they follow their path towards better sleep. As a hypnotherapist my role is to help each person with what they need both practically in terms of addressing any lifestyle or day-to-day issues, and within themselves. And to then create hypnotherapy sessions that support what they need to process and update in order to enjoy better sleep. When people come to a hypnotherapy session, it is usually such a pleasant and relaxing experience that some might fall asleep. For the people I work with to help their insomnia, that can be a reassuring bonus! I usually create music backed recordings of our hypnotherapy sessions, especially for insomnia. You then have this as a resource to listen to in-between sessions, which aims to move things along faster for you. Some people find that self-hypnosis works well for them too. This is something most people can learn, either one-to-one or by attending one of my self-hypnosis workshops. 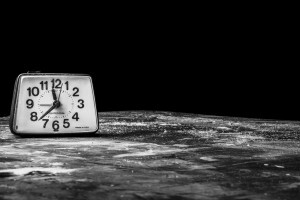 I hope you have found this blog on hypnotherapy for insomnia to be of interest. People often have many questions about hypnotherapy and you can find out more by visiting Hypnotherapy Frequently Asked Questions and my Blog posts on Hypnotherapy. 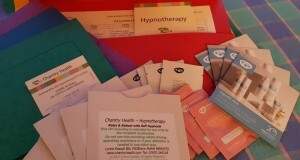 Please do Contact me to discuss whether hypnotherapy for insomnia might be of help for you – thank you. This entry was posted in Hypnotherapy on by . Please note any views or advice in this website are based on the author’s training and experience. They should not be taken as a substitute for medical advice or treatment, especially if you know you have a specific health complaint.